Stockton: Alexander Farnham, 1974. Bound in stiff brown wraps with illustration to front panel. A 72 pp. book on painting architecture. Tight, clean copy. . First Edition. Soft Cover. Very Good +/No Jacket. 8vo - over 7¾" - 9¾" tall. Cinn., OH: North Light Books, 1990. Bound in maroon cloth, stamped in gold with illustrated dust jacket. Tight, clean copy of this 144 pp. book on art technique. . Third Edition. Hard Cover. Near Fine/Near Fine. Oblong 4to. (no place): School of Visual Arts, 2008. Bound in artsy bright green wraps with cut-out spine in custom slipcase. A very serious production from the Art School. Over 400 pp. of art, graphics from the school. Included is a separate folder that contains a CD. Scarce. First Edition. Stiff Wraps. Very Good +/No Jacket. 8vo - over 7¾" - 9¾" tall. London: Raphael Tuck & Sons, 1912. Bound in stiff colorful boards. Colored example on one side of the page and the other side has a stenciled copy to color (no pages have been colored). Previous owner's neat inscription to ffep. . First Edition. Hard Cover. Very Good +/No Jacket. Oblong 8vo. Atglen, Pennsylvania, U.S.A.: Schiffer Pub Ltd, 1999. Bound in illustrated stiff wraps. The first edition of this 93 pp. 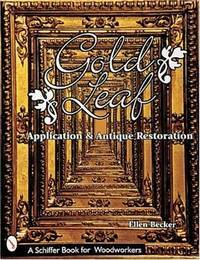 book on gold leaf. Lot of "How To" photos (step by step). . First Edition. Soft Cover. Near Fine/No Jacket. 4to - over 9¾" - 12" tall. Princeton, WI: Kitchen Sink Press, 1989. Bound in blue cloth, stamped in silver. Tight, clean copy of this limited edition (ltd. to 1450 cc.). With Signed bookplate, integral to the book. 136 pp. Lessons from one of the masters of the genre. . Signed by Author. First Edition. Hard Cover. Near Fine/Near Fine. 4to - over 9¾" - 12" tall. Signed, Limited. 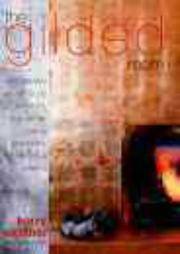 New York, New York, U.S.A.: Watson-Guptill Pubns, 2007. Bound in stiff printed wraps. 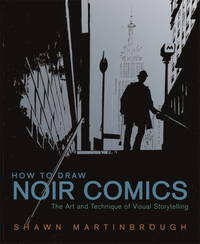 Great book on how to draw noir comics. 144 pp. Hundreds of illustrations. . First Edition. Soft Cover. Near Fine/No Jacket. 4to - over 9¾" - 12" tall. New York: G.P. Putnam's Sons, 1935. Bound in blue cloth, sans DW; off-setting to end-papers and foxing to edges; previous owners name penciled on ffep. ; illustrated in black & white; 140pp.. First Edition. Hard Cover. VG+/No Jacket. New York: Minton, Balch and Co. Seventh impression bound in gray buckram, sans DW; black & white plates and illustrations; 136pp.. Reprint. Hard Cover. VG+/No Jacket. New York: Van Nostrand Reinhold Reprint edition bound in tan buckram, sans DW; illustrated in black & white, with some color; 196pp.. Reprint. Hard Cover. VG+/No Jacket. New York: McGraw-Hill Rather scarce book that has hundreds (thousands?) of ancillary items to trace when doing Architectural drawings. 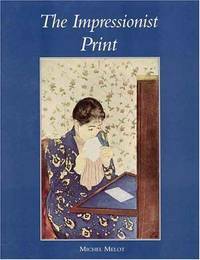 Fifth printing in wraps; illustrated in black & white; 248pp.. Fifth Printing. Soft Cover. VG+/No Jacket. 4to - over 9¾" - 12" tall. NY: F.W. Devoe, 1892. Subtitled, "a practical hand-book of instruction in the use of the liquid indelible dyes or tapestry colors." Bound in the original gray wraps, stamped in black, wear to bottom 1" of spine. 60 pp. + advertisements. . First Edition. Soft Cover. Good/No Jacket. 12mo - over 6¾" - 7¾" tall. Fogg Art Museum, 1977. Black & white illustrations; penciled marginalia and notes; 116pp. Rather scarce title on the technique of art. . First Edition. Soft Cover. VG+/No Jacket. Oblong Quarto. New Haven: Yale University Press, 1996. Translated from the French by Caroline Beamish; Black & white and color; 296pp. A beautiful copy in bright dust jacket. . First U.S. Edition. Hard Cover. Fine/Fine. 4to - over 9¾" - 12" tall. Paris: Finest Sa/Pierre Terrail Editions, 1999. Large coffee-table English edition in self-wraps; full color reproductions, many full page; 207pp. A tight, clea copy in glossy wraps. . First Edition. Soft Cover. Near Fine/No Jacket. 4to - over 9¾" - 12" tall. New York: Charles Frank Publications, 1964. Bound in yellow buckram, with black lettering, sans DW; front DW flap laid-in; illustrated in black & white; 151pp.. First Edition. Hard Cover. VG++/No Jacket. Pittsburgh: Graphic Arts Technical Foundation, 1982. Small stained area to rear panel; illustrated in black & white; 164pp. Overall, a tight, clean copy. . First Edition. Soft Cover. Near Fine/No Jacket. New York: Museum of American Folk Art/Chronicle Books, 1998. Bound in self-wraps; illustrated in color; 256pp.. First Edition. Soft Cover. Near Fine/No Jacket. 4to - over 9¾" - 12" tall. New York: Harper & Row, 1968. World Perspectives, Vol. 37; bound in gray decorated buckram, sans DW; illustrated in black & white; 267pp.. Early Reprint. Hard Cover. VG+/No Jacket.